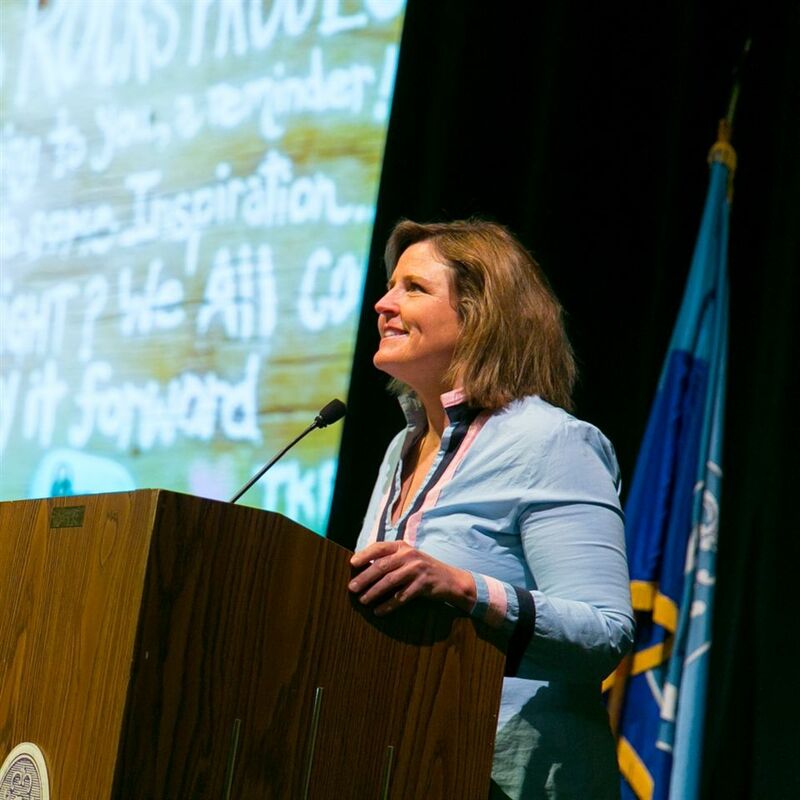 Derby recently welcomed Megan Murphy, founder of the Kindness Rocks Project, to campus to speak with faculty, staff, parents, and students about her effort to cultivate meaningful connections and spread compassion through simple acts of kindness. Her idea began as she walked the shores of Sandy Neck Beach on Cape Cod, leaving colorfully painted rocks with simple messages of kindness for others. The movement soon spread across the country as travelers began taking rocks back to their communities and around the world. What began was a global initiative of spreading compassion and kindness. “One message, at just the right moment, can change someone’s entire day, outlook, or life,” Murphy shared. What started as a hobby has impacted thousands, crossing continents and inspiring others to complete random acts of kindness. Murphy discussed the value of spreading acts of compassion in our community, making the most of our limited time, and how one person can make a difference and influence change. Murphy stressed that acts of kindness should be done without seeking any validation. The idea of focusing one’s attention on multiples – and by focusing on positivity –can move someone into a more positive mental state. After traveling throughout India, Murphy saw how an appreciation for the little things and a simple act of kindness can yield a big impact. Kindness connects us all, she stressed. Murphy herself is now inspired by how schools, organizations, and over-seas military around the world are adopting the activity and creating kindness for others.